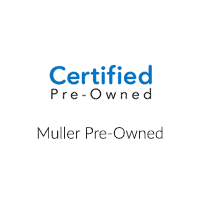 Honda and Toyota both offer extensive certified pre-owned vehicle programs. You can take advantage of purchasing a vehicle that’s more affordable than a new one that’s backed by warranties. Honda CPO vehicles and Toyota CPO vehicles both must go through multi-point inspections and meet certain requirements to be certified. Let’s find out which certified pre-owned program you should choose for your Chicago commute. Which to Choose: Honda CPO or Toyota CPO? As you can see, the CPO Honda vehicles undergo a more thorough inspection and have less miles on the CPO Toyota vehicles. And while you get the remainder of the powertrain limited warranty with Toyota, you get the full powertrain limited warranty with Honda. Shop our certified pre-owned Hondas for sale online or visit our showroom in Highland Park, not far from Arlington Heights, to learn more about these quality vehicles.